I pulled the last brisket out of the smoker at 03:30 on Sunday. 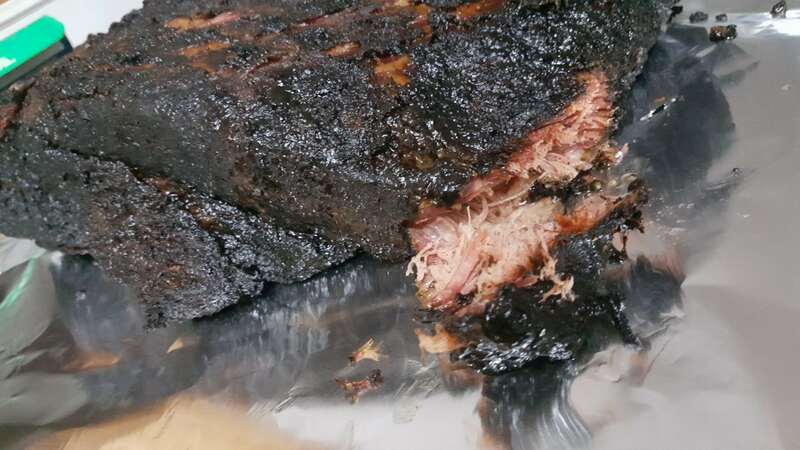 That is an 18-hour brisket. 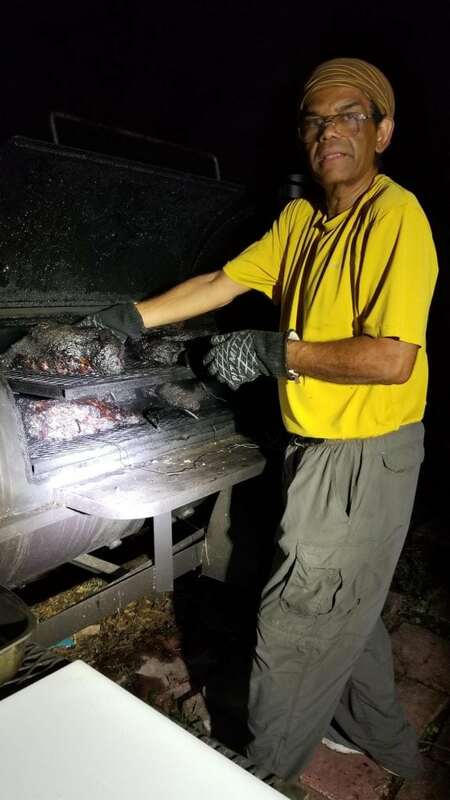 The bulk of the 10 briskets were done at 195 degrees between 01:30 and 02:30. I am calling this one at 192 degrees because I am tired and the smoker firebox is filling up with ash. I just had to taste a corner of the bark on the last one, and man was it crunchy on the outside and tender and juicy on the inside.